Is it about the Journey...or the Destination? : Check One off the "To Do" List! The guest bathroom upstairs looked like this when we bought the house...and we knew at the time we would be making changes. The color and design are pretty dated, don't you think? 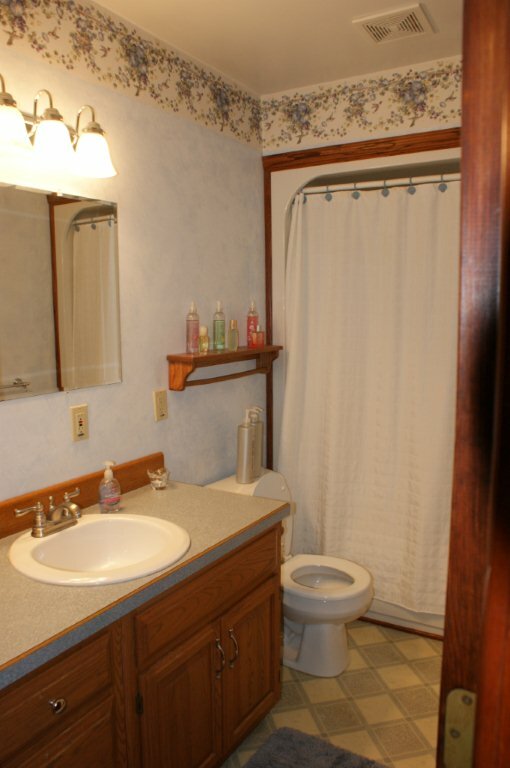 It is a tiny bathroom but it does serve it's purpose. I don't know what materials were used on the walls ..we took a sander to the wall to smooth them out. 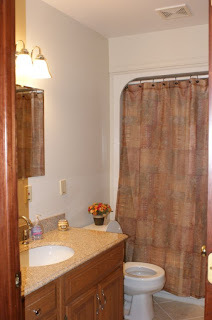 The master bed/bathroom has a similar texture. If anyone out there has any ideas (other than a sander) to smooth out the texture, please share!!! This is the remodel (minus the picture being hung above the commode or a sconce with candle - still undecided). Much cleaner, fresher and definitely updated. 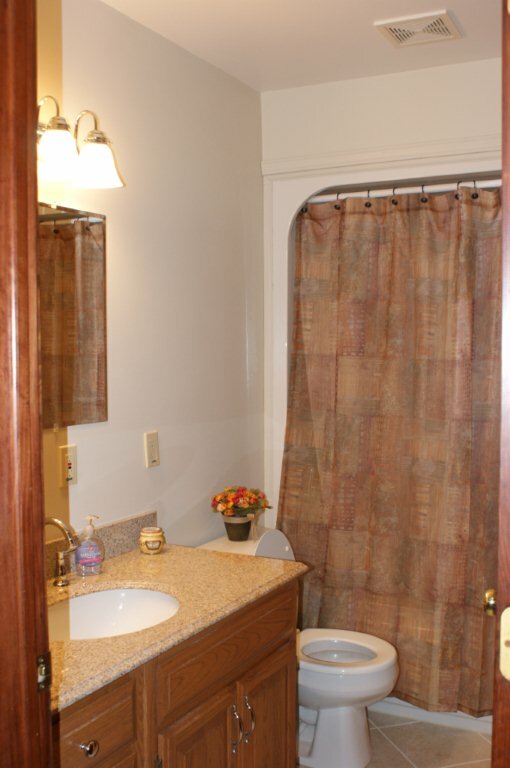 Formica counter top replaced with granite and under-mount sink, new faucets, shower curtain and 13" porcelain tiles. Feels good!! I've already started one of the guest bedrooms. My goal is to get these projects done before spring!!! The master bed/bath will be my last project if my stamina (and my husband's patience) last!! Wish me luck! I'm linking up to Debbiedoo's Newbie Party!